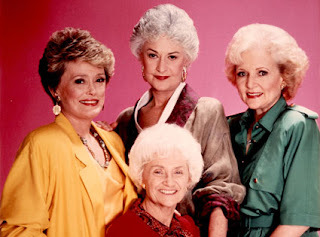 Do you remember the theme song to The Golden Girls? Don’t hold back now, sing it with me: “Thank you for being a friend. Traveled down the road and back again. Your heart is true, you’re a pal and a confidant.” In the world of email marketing, guess who your customers’ pal and confidant is? Ding, ding! Your newsletter… and there’s research to prove it! According to the Nielsen Norman Group’s latest and extensive Email Newsletter Usability report (based on 270 email newsletters across 6 different countries), readers feel an emotional attachment to their email newsletters. You might be rolling your eyes and scoffing, “well, duh,” but being informative and relevant is the end all/be all in the newsletter stratosphere. It’s also how we make friends (hint hint: girl/bro talk!). If your email looks like a newsletter and smells (?) like a newsletter, but isn’t valuable, educational and/or dripping with juicy new content, then you can’t call it a newsletter. So what do people consider valuable content? Hungry Girl has an uber-informative daily newsletter (with more than 1 million subscribers!). If you love food, but you’re watching your weight, she’s got the know-how on just about everything including newly released low fat/cal sweets, eats & recipes. Starting out with an email newsletter in 2004, Hungry Girl today has exploded into NY Times Bestseller book deals, a Food Network TV show, and features on The Rachel Ray Show, Good Morning America and more. Looks like having an informative newsletter is nothing to scoff at! People like to be informed of sales, but it shouldn’t be your main focus in a newsletter – that’s what promo-specific emails are for. To the contrary, your newsletter is a trusted friend being let into your reader’s home/inbox. If someone lets you into their home and you instantly transform into a pushy salesman with a pitch, they’re going to think twice about opening the door for you (i.e., opening your newsletter) again. If you want to promote a sale or a product in your newsletter, do so like a friend would: “Did you know they’re having a friends and family sale at Gap until Sunday? Let’s go!” and leave it at that. Guess how long the average person spends reading a newsletter? Hours, perhaps? That’s flattering, but in reality: 51 seconds! Don’t let that get you down though. We live in scan-to-survive times because attention spans are spread thin. Keeping your content scannable with content blocks, brief blurbs, snapshots, takeaways and/or bullet points will give your readers’ eyes a scanning sigh of relief. But remember, friendship is give and take, and you deserve something too! Satisfy your readers just enough, but leave them eager to learn more via a click. Lead readers back to your site/blog/social media network for more info. The point of a newsletter isn’t to make a sale, it’s to build a relationship with your audience, to inform/educate, and snag some clicks… which, with any luck, will eventually lead to a sale. Don’t you just hate flaky friends? I mean, you love them, but they’re unreliable, unpredictable, and the more they flake, the less likely you look to them for friendship. The same goes for your newsletter. If you tell readers to look for your newsletter each week, you better be there, because oh, they’re expecting it! Pick a frequency, whether it be daily, weekly, monthly, etc. and stick to it. Make sure to tell readers on your opt-in form just how often they can expect to hear from you – some people don’t like surprises, last minute drop ins and/or no shows. Breaking up is rough, but would you rather someone break up with you calmly, or unknowingly throw you under a bus? A person unsubscribing from your newsletter is just a fact of life, and it’s nothing to take personally. However, the harder you make it for someone to unsubscribe, the easier it allows them to click that seemingly insignificant “spam” button, and BAM! under the bus you go. Let your readers go easily if they so desire (they can always come back!) and make your unsubscribe link easy to find. Otherwise, sitting in a spam box will only cause your delivery, open, click through, etc. rates to go down. If you’d like to dive even deeper into the depths of email newsletter creation, watch our webinar: Creating a Significant Email Newsletter. Also, did you that know that we’ve done a lot of the newsletter design work for you? Check out our newsletter templates (page 3) in your VerticalResponse account. Lastly, we couldn’t write a post about email newsletters without asking if you receive our own? Check out and sign up for the VR Buzz here!